Over 200 feet of beach and waterfront on this serene, spring-fed lake insure golden memories. 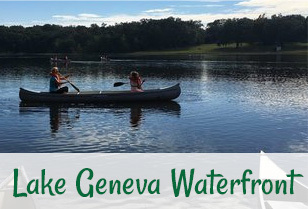 Featuring “The Blob,” and other water features, a pier, kayaks, sand beach and more, our waterfront is is the backdrop to a wonderful camp experience. 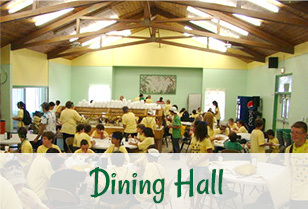 Our dining hall now seats up to 350 comfortably, and features salad and pasta bars, drink stations, sound system and video, gorgeous sun room and “executive” dining area, as well as outdoor cafe-style seating. 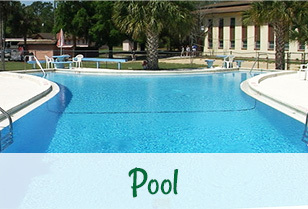 Our unique pool is adjacent to the beach and convenient to most of the housing on campus. Plenty of seating, relaxing chaise lounges, shaded areas and more make this a great spot to gather or take a break from the “rigors’ of camp life! 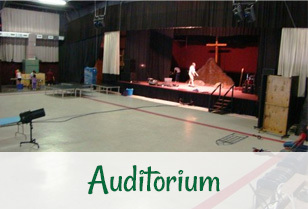 Our auditorium can seat up to 600! Fully equipped stage with multiple lighting options, sound system, projectors, screens, props and more. Our 4,000 square foot gym has a full basketball court, ping pong tables, equipment, air conditioning(!) and more. 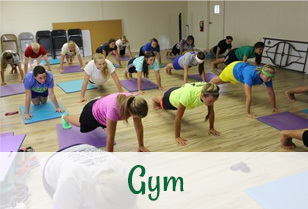 Centrally located o the camp grounds, the gym provides a cool respite from the great outdoors. Camp has both high and low ropes courses for your campers. 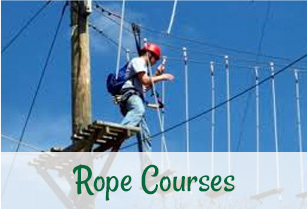 High ropes course is subject to availability and requires our staff to supervise for safety reasons. So why not arrange a tour?